The Orange County Board of Supervisors approved increasing the reward for information leading to the apprehension of three escaped inmates from the Orange County Men’s Central Jail to a total of $200,000. Board members unanimously approved adding up to $50,000 each for information leading to the capture of inmates Hossein Nayeri, 37; Jonathan Tieu, 20; and Bac Duong, 43, who escaped from the jail sometime on Friday, January 22, 2016. The U.S. Marshals Service already has pledged $10,000 each for information on the three inmates while the Federal Bureau of Investigation contributed another $20,000. Media Alert: Special Meeting of OC Board of Supervisors January 29, at 3 p.m.
Orange County Board of Supervisors Chairwoman Lisa Bartlett and Supervisor Andrew Do will hold a press conference tomorrow morning to ask for community assistance to provide information leading to the apprehension of the three inmates who escaped Monday from Orange County Men’s Central Jail. Information will be provided about the increased reward approved by the Board of Supervisors, bringing the total to $200,000, as well as assuring the Vietnamese community that any information provided to assist the investigation and after the escapees are apprehended will be treated with complete confidentially. Friday, January 29, 2016, 11 a.m. The decision by a Transportation Authority board committee stems from the city’s spending of taxpayer money to take local senior citizens on gambling trips and winery tours. A hearing is scheduled for Friday morning on whether to ban the release of records sought by conservative publisher Jon Fleischman. The District Attorney’s office is investigating the former treasurer of the Fullerton Rangers youth soccer club for possibly embezzling more than $190,000 from the volunteer organization, according to the Fullerton Police Department. 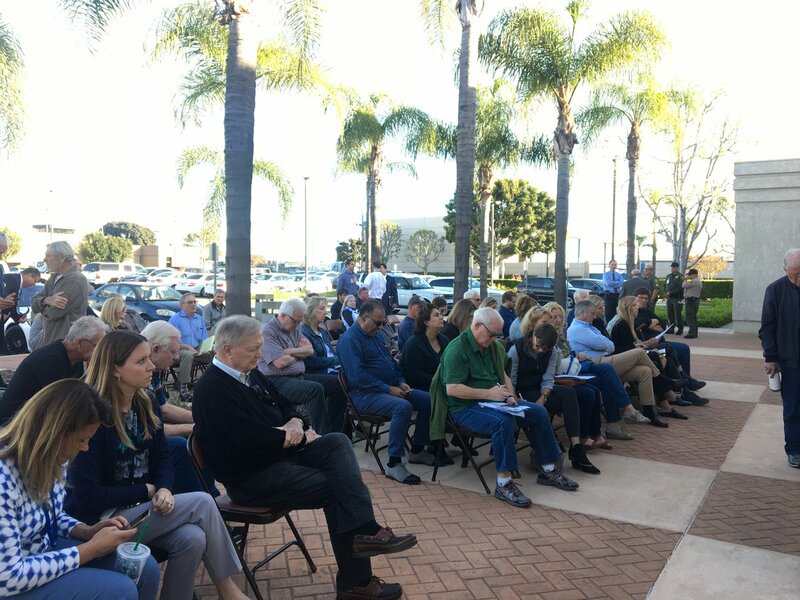 The Fair Political Practices Commission’s investigation of Councilwoman Christina Shea follows a Voice of OC article about Shea’s attempts to fast-track construction plans at City Hall for her consulting client, KIA Motors.